Our Next Walk: Tuesday, Laurel Hill! 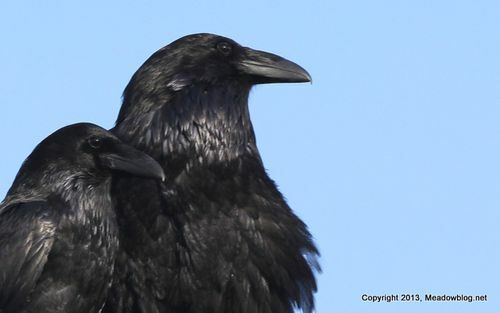 Can't wait to get back to Laurel Hill County Park to see how the Common ravens are doing, and the nesting Ospreys, too. Good thing we're having a free guided walk there next Tuesday morning at 10 a.m.! This free two-hour guided nature walk will take place at Laurel Hill County Park in Secaucus. We’ll look for our family of Common Ravens, shorebirds, herons, nesting Ospreys and more. We meet at the big parking lot by the Laurel Hill ball fields at 10 a.m. The walk is run by the N.J. Meadowlands Commission and the Bergen County Audubon Society. Check meadowblog.net for last-minute weather updates. You will have to sign a standard liability release that is good for NJMC/BCAS events throughout the year. To rsvp, contact Don Torino of the BCAS at greatauk4@aol.com or 201-230-4983.